Back length from (approx): 87cm/34.2"
Bring all the glam to party season with this stylish shirt from Yours London. 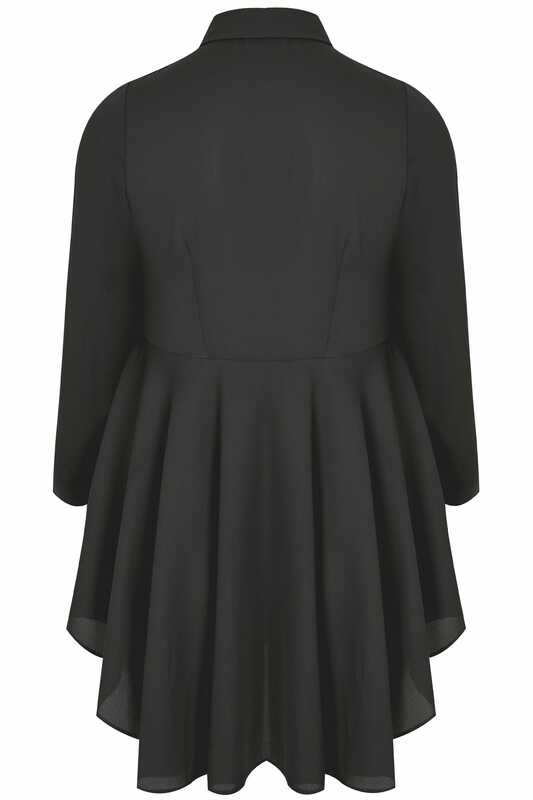 Made from a lightweight chiffon fabric, it features a layered ruffle front and a flattering dipped back. 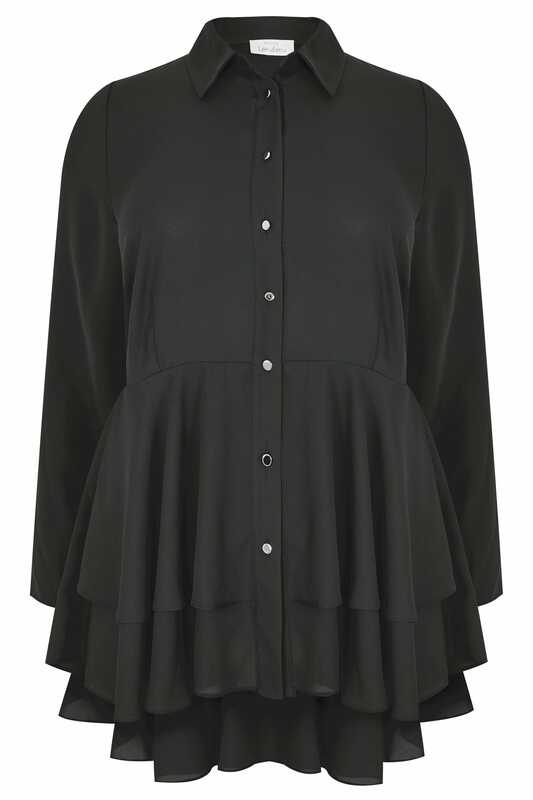 Complete with a classic collar and a button through fastening, just add skinny jeans and heeled sandals for an effortless after-dark look. A staple party top every girl needs in her wardrobe.